Psoriasis is defined as an auto immune disease. It is a skin related complication, which is characterized by red patches all over the body. It is a bit difficult to treat psoriasis. They are more prominent near the knees and elbows. The major causes are emotional stress, physical over activity, infection, side effects of various medicines. Heredity also plays an important role. Itching, lesions, silver colored scales, redness are the common characteristics of Psoriasis. This skin complication can be treated effectively with some home remedies. These are given below in detail. The home remedies are extremely effective in treating various skin related complications easily. Turmeric has antibiotic, antiseptic and anti-microbial properties. It fights against viral, bacterial and fungal infections easily. Make a paste of turmeric and apply on the infected area. Keep for some minutes and then wash off. It is highly effective. Aloe vera is a wonderful remedy for various skin related complications. It has the ability to treat several infections easily. Apply the aloe vera gel on the infected area. It has skin soothing property. 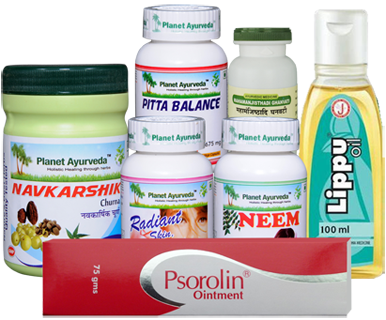 It provides perfect relief from the various symptoms of Psoriasis. Certain fishes like mackerel, tuna, sardines, salmon are some of the fishes, which are rich in Omega-3 fatty acids. Consumption of this nutrient helps to provide relief from the skin infections to a huge extent. It helps to boost immunity and reduce swelling and itching. Fresh vegetables and fruits contain anti-oxidants and all other nutrients, which are essential by the body to lead a healthy life. They contain dietary fiber, essential vitamins and minerals. These fight away skin complications and provide relief from infections. Apart from these home remedies, there are certain important tips. Drink a lot of water. This makes the body hydrated and prevents infection. Carry out massage therapy regularly. This helps to relieve stress, which is one of the major causes of psoriasis. Practice yoga on a regular basis. This expels out the toxic materials from the body and makes the body from any harmful substances. Follow these home remedies and the tips, make your body free from any infections and lead a healthy life. Neem (Azardirachta indica) is extensively used in Ayurveda for the treatment of various skin problems. Regular intake of Neem Capsules could reduce the risk of psoriasis. The active compounds in this medicinal plant act directly on the skin tissues. It works at the root cause of the disease and helps to address the underlying health problems that are responsible for skin diseases. Neem is highly recommended by most Ayurvedic physicians for all types of skin treatment. Neem possesses antibacterial properties and it is effective in fighting most skin infections such as acne, psoriasis and eczema. Nature has provided us a number of herbal remedies for the treatment of arthritis and gout. Psoriatic arthritis needs little longer and regular treatment rather than quick symptomatic relief. Navkarshik Churna provides quick relief and it also works at the root level of the problem i.e. Psoriasis. It helps in correcting the purine metabolism, liver metabolism, cleansing the blood and breaking uric acid crystals. It is one of the best herbal treatments for psoriasis and it contains best herbs for psoriatic arthritis.